The Tissot Heritage Visodate Translates Nostalgia Into Contemporary Timepieces Dedicated To Detail! Back in the 1950’s, Tissot was celebrating it’s centenary, and in order to commemorate this landmark, they produced a series of innovations. One of these innovations was the integration of a date function to the automatic mechanism in a watch, called Visodate. Now, the Tissot Heritage Visodate adds a modern contemporary design to that same innovation! The sleek gentle curved dial mirrors the domed sapphire glass, both positioned perfectly to showcase a clearly visible day and date. Part of Tissot’s Heritage collection, the Visodate features the caliber 11 1/2”, ETA 2836-2 automatic mechanical movement, with a power reserve of 38 hours. This piece comes with a 40mm x 11.6mm stainless steel case, which has been made to a water resistance of up to a pressure of 3 bar (30 m / 100 ft) as well as featuring a clear case back, offering a sight in to the complex movement housed inside! This adds a more classic, vintage feel to the watch, rather than the modern style of the mesh bracelet! So if you are looking for a more classic style with your watch, then this model could just be perfect for you! Check out this 1959 Tissot Visodate advert, a little different to what we see in 2019! 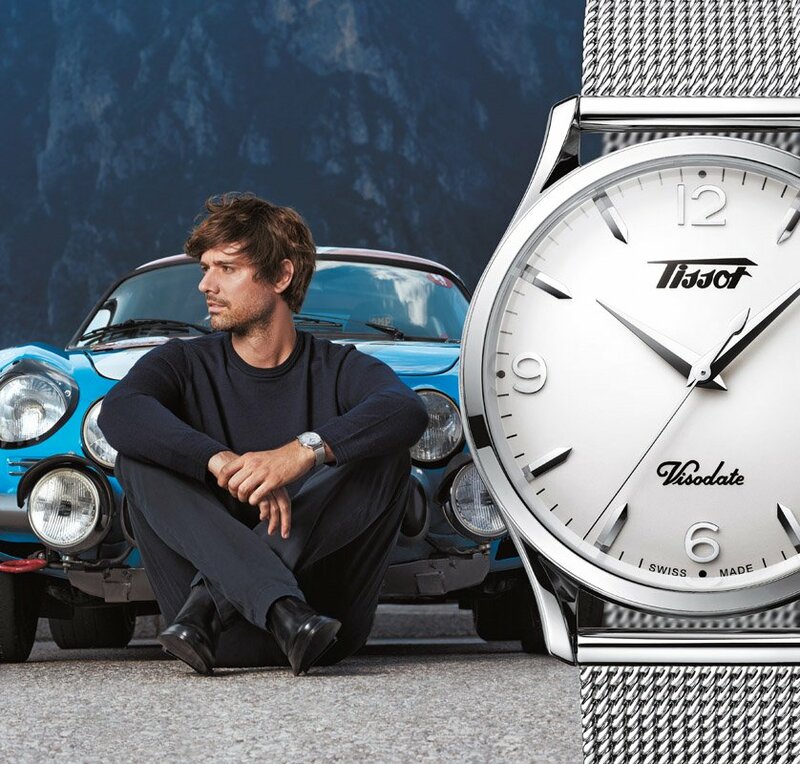 If you would like to find out more about Tissot watches, you can have a read of our post here, to check out a brief background and direction of the brand! Or if you are interested in seeing the full Tissot range available from First Class Watches, then all you need to do is click here!